1. The Ismailis (followers of the Aga Khan) all professedly believe that the Quran was time bound and was not meant to be a Universal message for all times. They believe that their spiritual leader, Karim Aga Khan, is the "walking - talking Qur'an" and his "religious pronouncements", whatever they may be, are the "guidance" for the present times. The fundamental article of faith that there will not be any NEW revelations or "wahy" after the Qur'an, is being completely violated by the Ismailis. 7. The Aga Khan has made Halaal for the Ismailis that which Allah has made Haraam for the Muslims. Taking of interest (usury) is not forbidden by the religious instruction classes run by the "Tariqaah" board of the Ismailis. As a matter of fact, the much publicized "Venture Capital" program (details on the website of FORBES Magazine - search under "Aga Khan"), of loaning funds on interest by the AKFED (Aga Khan Fund & Economic Development), has been a great success. Similar entrepreneurial projects are now being actively promoted and introduced to poor Muslims of Tajikistan and neighboring areas. The Fatimid dynasty was founded by Abdullah al-Mahdi Billah in 909, legitimising his claim through the daughter of the Prophet Muhammad, Fatimah as-Zahra, and her husband Ali ibn-Abi-Talib, who was the first Shi'a Imam. The dynasty was known as al-Fatimiyyun "Fatimid." It began in Ifriqiya which is today's Tunisia and Eastern Algeria. Abdullah al-Mahdi soon controlled over all central Maghreb which represents today's Morocco, Algeria, Tunisia and Libya, ruled from his newly built capital in Tunisia, Mahdia. In 900 AD, the Fatimids conquered the Ikhshidid dynasty in Egypt and found a new capital at al-Qahira (Cairo) in 969. After Egypt the Fatimids expanded and ruled from Tunisia to Syria and into Sicily and southern Italy. Palestine, Lebanon, the Red Sea coast of Africa, Yemen and Hejaz all came under their rule. The Fatimids were trading in the Mediterranean, India and China in the Middle Ages. The Fatimids were very liberal and their government was staffed on meritocracy and thus included appointments from other branches of Islam as well as non-Muslims. This liberalism had its exceptions in "Al-Hakim bi-amr Allah." The Fatimid governors of North Africa, the Zirids, were influenced by Sunni Islam and declared their independence from Cairo in 1040 which triggered the Banu Hilal invasion of the lands controlled by the Fatimid's. Fatimids lost control of the Levant coast as well as parts of Syria by 1070 being challenged by the Turks, and later the Cursaders also destroyed much of their control in that area, and the Fatimid empire shrank to just Egypt. The crusaders captured Jerusalem in July 1099 from the Fatimid garrison following 5 weeks of siege. Ismailis being an off-shoot of Shia, have similar doctrines such as the divine origin of Imams. But Ismailis believe in a dual Imamate that not only do they believe in the succession of the Imams to the present, they also believe in the hidden Imam (silent Imam). The hidden Imam is not known to the community but will return to lead the faithful. Ismailis generally follow the religious practices and doctrines of the Shia Twelvers in prayers, fasts, and the Quaranic interpretations, but in their conservatism they are similar to the Sunnis on some subjects, such as they do not observe the tenth of Muharram as passonately as the Shias do. Ismaili beliefs are syncretic(reconciliation with other beliefs), including philosophies from Aristotle, Plotinus, Pythagoras, gnosticism, the Manichaeans, Judaism, Christianity, and Eastern religions. Their beliefs of the creation of the world is idiosyncratic. Their ecumenism, tolerance of religious differences, and religious hierarchy is equally idiosyncratic. The Ismaili separation of Islamic theology into exoteric (conservative Shariah) and esoteric (mystical exegesis of the Quran and inner truth) creates the mysticism that makes the sect extremely complex and mysterious. All these practices and beliefs are veiled in secluded secrecy and the Ismailis believe that these beliefs should be guarded and shielded from unbelievers of their faith. Hence Ismailis believe in the practice of "Taqiyya" for self-protection of their faith. Taqiyya is a practice adopted by most Shia and is is also permitted in the Sunni Sect. In fact it is a practice in Islam as well as in the larger Islamic community. There are several branches of Ismailis, the two we focus on are the Bohras Ismailis with their head quarters in Mumbai (Bombay), and another branch known as the Khojas Ismailis based in Gurarat State in India, and headed by the Aga Khan. A disagreement arose over the successor to the 6th imam, Ja'far al-Sadiq. The Ismailis chose Isma'il tracing the imamat through Isma'il's son Muhammad and his progenies. But the majority of the Shia recognised the 12 imams, descendants of Ismail's brother Musa al-Kazim. Thus the separation of the ways began. 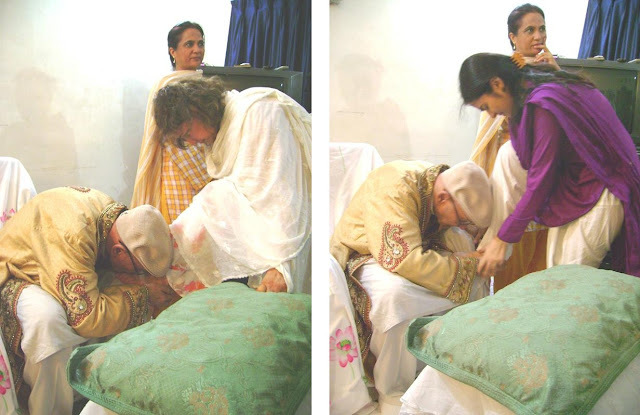 The Ismailis two main branches in India are the Musta'lis (Bohras) and the Nizaris (Khojas) who are led by the Aga Khan. Aga khani Ismailis (Nizaris Khojas) After the collapse of the Fatimid in the 12th century, the "Assassins" survived in Persia (Iran) as the Nizari Ismaili, considered a heretical branch of the Shia sect. However, the Shah of Persia, granted one of their member the title of the Aga Khan in 1818. But in 1840, there was an abortive coup on the next Shah, and the Aga Khan decided to flee Persia for India. 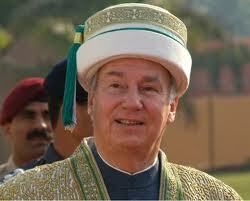 In India the Aga Khan and his descendants remained leaders of the Agakhani Ismailis till today. The Aga Khan is internationally known for his association with thoroughbred racing horses in the racing world in Europe and America. Then the world learned of Aga Khan III's gift from his followers of gold, platinum, and diamonds equal in weight to his body weight. Then the famous marriage of Prince Aly Khan Karim Aga Khan's father to actress Rita Hayworth and his role as leader of Pakistani's delegation to the United Nations. Again Prince Sadruddin Aga Khan served as High Commissioner for Refugees in the United Nations. And more recently Karim Aga Khan was named Commander of the French Legion of Honour for services to humanity. However, the ancestors of the Agakhani Khojah Ismailis were Hindus who were converted to the Ismaili faith by Pirs (authorised preachers) who came from Persia some 7 centuries ago. These converts adopted the Islamic Tariqah. Under Article 14 of the Constitution of the Shia Imami Ismaili Muslims (1986), any Ismaili who prints, publishes, or circulates any material or makes any statement of convenes a meeting or assembly purporting to be on behalf of, or in the name of, or relating to, the Imam, the Ismaili Tariqah, the Jama' at (a congregation of community,) and any Ismaili Council or Institution without the written permission of the national Council within whose jurisdiction he or she resides shall be liable to disciplinary action, and the offender can be expelled from the community. (2) The principle of Tawheed has been violated by the Ismailis because The Aga Khan as declared himself the "Mazhar of Allah on earth." Mazhar is translated as "copy" or "manifest" and hence has defied Muhammad as the "Last of the Prophets." This is a very serious point with orthodox Islam, that Muhammad is the last of the prophets. That all those who come after him are but false prophets. (3) The Agakhani Ismailis are not commanded to offer the Islamic Salaah, observe Saum, or perform Hajj. They have replaced Salaah with Dua'as (thrice a day.) They are told that their Hajj is a personal "Glimpse" (Deedaar) of Karim Aga Khan. (4) Qur'an 3:135 clearly states that the forgiving of sins is the prerogative of Allah (swt) alone. Yet, the Aga Khan and his appointees will "forgive the sins" of their followers and will not be questioned on the Day of Judgement for sins that are already forgiven in their Jamatkhanas (Ismaili community centres.) Thus defying the authority of Allah. (5) Thus these esoteric views, deviant from orthodox Islam and the Qur'an can be very confusing and divisive to both Ismailis and orthodox Muslims and weakens the orthodox ideologies. One of Maymin's devotees was Hamdan Qarmat the founder of Qaramintah which was predominant in Arabia. He introduced concepts from the Gnostic dualism that permitted them to pillage, to abandon prayer, fasting and other traditional Islamic rituals. This resulted in the growth of popularity of the Qaramintah sect that grew, similar to the growth of Islam in Muhammad's era, into a powerful and fearsome band of brigands. The Qaramitah dominated Iraq, Yemen, Bahrain and extended their ravages westwards. They controlled Mecca after the slaughter of 30,000 defending Muslims. However, the majority of Ismailis believed in the succession of the Imam in keeping with the traditions of the Fatimid dynasty who had their own caliph and had their capital in Cairo in 973. The founder of the Fatimis Dynasty was Ubeidullah, known as the Mahdi, who claimed descent through a line of "hidden imams," from Muhammad, son of Ismail, and through him, from Fatimah the daughter of the Prophet Muhammad. However, after the Fatimid establishment of their power in Egypt, the substance of the Fatimid teachings was little different from the code of Abdullah Ibn Maymun, and his more violent initiate, Qarmat.